The Pitt Meadows Museum’s Memory Band is a Museum Society project in celebration of the Municipality’s 100th Birthday and was made possible with funding from the B.C. Creative Communities program administered through the British Columbia Arts Council and funded by the Province of British Columbia. Additional funding and project assistance provided by the Pitt Meadows Heritage and Museum Society, the City of Pitt Meadows and the District of Maple Ridge. Special thanks to the Museum staff and volunteers who worked together to make this Memory Band a reality: K. Ramsden; T. Simms; B. Weir; L. Norman; J. Chernecki; N. Pochailo; N. Simms. The Museum also thanks the individuals, groups and organizations who submitted their words, dates and phrases in contribution to the Band. The year Pitt Meadows broke away from the District of Maple Ridge. The official date, March 2nd. 4H has been around since 1913 and in the Pitt Meadows area since 1914. It is one of Canada’s longest-running youth organizations for young people between the ages of 8 and 21. Prior to the end of WW I a large colony of 7th Day Adventists existed in Pitt Meadows. Their land spanned the area between what are now Ford and Advent Roads on the west side of Harris Road and encompassed what we now know as Hoffmann Park. On their site was the three story Manson Training Academy, a residential school built for the purpose of educating Adventist youth. In 1910 the Adventists also built a little white church at the corner of Harris and Ford Roads. Today we know this building as the Community Church. While they made up a significant component of the population at the time, their presence in Pitt Meadows was all but gone by the end of the War. The story of the Alexander McLean family is a curious one that may be a bit of a tall tale. Alexander’s son, Don, often told the story of being the first settlers in Pitt Meadows, predating the known first settler by many years. Alexander’s obituary acounts this story and that of his travel to the area including cannibals (not in Pitt Meadows) and a tidal wave including cannibals (also not in Pitt Meadows). Located at the far end of Pitt Lake, Alvin was named for Alvin Thomas Patterson, a logging contractor and farmer who settled there about 1901. From 1915 to 1955 the community had a post office. Mrs. Edward Cook (nee: Killmaster) was “the first bride ever brought home to Pitt Meadows” arriving here by sternwheeler on July 15, 1882 when the mosquitoes were so thick “that the sun was blacked out”. Her home on the west side of Harris Road was known for its elegance and massive wrap around deck and the property for its strawberry fields. The date the District of Pitt Meadows was incorporated. In 1911 Archbishop McNeil of the Holy Rosary Cathedral in Vancouver purchased this acreage in the Dyking District 2 area of Pitt Meadows with the intention of Catholic resettlement — Catholic families would be brought from around North America to settle and farm in this isolated area. The plan seems to have fallen apart at the time of incorporation of Pitt Meadows and the outbreak of WWI. Ford Road, Woolridge Road and Kennedy Road make up “The Ford Road Detour”, but at one time residents simply referred to residing in this part of Pitt Meadows as “around the bog”. Air Raid Protection of W.W.II. The Pitt Meadows A.R.P. group was well organized and is credited with organizing the community’s first fire department with Hans Hoffmann the first fire chief. The A.R.P. disbanded after the war and the first volunteer fire department was formed. Founded in 1888, the British Columbia Dyking and Drainage Company was the first in a series of development companies to attempt the reclamation of north Pitt Meadows by purchasing 17,000 acres of land in the area. They failed in their attempts and the land reverted to the crown in 1906. The first Reeve of Pitt Meadows in 1914, John Blaney had also served as Reeve of Maple Ridge in 1903 and 1905/6. Mr. Blaney would serve as Reeve again in the 1920’s and also as a councillor for seven years. Situated on the old Alouette Peat land the first blueberry bushes were planted in 1942, replacing areas of farmed off peat. By 1947 Blueboy Blueberries was formed with J.K. Austring the owner. At the end of Bonson Road at Katzie where the sternwheelers that plied the Fraser River docked at Pitt Meadows. People, mail, goods, etc. came and went by these boats. Robert Bonson, the son of Royal Engineer Lewis F. Bonson, was Pitt Meadows’ first foreman of Roads. His father had been prominent in the development of New Westminster, but had moved the family to Pitt Meadows in 1892 to farm on land in the area of the road that now bears their name. The motto of the Pitt Meadows Community Association. The Community Association was started in 2011 and is based in the Osprey Village area of Pitt Meadows. Mr. Museum, Red put his heart into the development and maintenance of all of the sites the Museum has occupied over the years. It was due to his hard work that the Museum in the Old General Store opened on time in 1998, and the Hoffmann and Son site came on line just two short years later. Pitt Meadows has had a variety of crests, emblems and a Coat of Arms over the years. The first crest and motto “prosperity through endeavor” was developed in 1960’s and features the mountains, the forest, dairy cows and the airport. The second corporate id, the heron/sandhill crane was launched in 1996 “the Natural Place” coming on line in 2001. In 2004 the word “District” on the crane image was crossed out and replaced with “City”. Finally, in 2007 the City had a Coat of Arms with both the crane and a heron as well as symbols relating to dairy and berry farming, to Katzie, to road and rail transportation and more. What Pitt Meadows is and means to people. It is a distinct community. It is not Maple Ridge or Ridge Meadows. Cordelle, a Maple Ridge grocer, set up shop in Pitt Meadows in a one story “shack like” building in the 1920’s. His business was directly across the street from the larger Pitt Meadows General Store and he appears to have been in business for only a few years. Starting in the 1930’s and right through to the early 1970’s the building was used as a house and then was sold to be used as a shoemaker’s shop. In 2002 the green space beside the C.P.R. tracks. Prior to the opening of the new Pitt River Bridge in 2009, there were two earlier crossings with a total of four lanes over the river. In the late 1990’s, in order to alleviate some of the congestion that had become common at the spans during rush hours, the government put in a counter flow system similar to that still being used on/at other bridges and tunnels around the lower mainland. The Canadian Pacific Railroad opened through Pitt Meadows in 1885. In the early years there were two trains each day, one going west in the morning and another going east in the evening. It is said local mail was sorted on the train and delivered the same day it was posted. Double tracking was completed through Pitt Meadows in 1914. Known to most as David, he was a business man who ran the Davey Jones Confectionary and then Davey Jones’ Locker store on Harris Road just north of what is now 122nd Ave. He also served as Pitt Meadows’ sole Trustee on the District 42 school board for 14 years (with four terms in the Chair),retiring in 1966c. In recognition of his community service Davie Jones Elementary was named after him when it opened in 1978. The date the first municipal hall building burnt to the ground. It was replaced in 1931 with the second hall, a two story structure that we know today as the Heritage Hall. Around 1947 the Hammond Telephone Exchange, which included Pitt Meadows, was chosen to be the test area for dial telephones in the Fraser Valley. In 2013 one local resident related how thrilled she was to marry and move to Pitt Meadows in that year as she now had a dial phone as these were not available in the city she had moved from — New Westminster. D.T.R, named for Edgar Dewdney, was part of the first west to east route through Pitt Meadows. Travelers took it east to Harris Road and then followed Harris south to Hammond and then east on Dewdney Trunk Road Hammond to Maple Ridge. In 1931c this route was replaced with the Lougheed Highway. Jan Blom first saw the Polder in 1949 and returned a year later to purchase the land. Dutch crews arrived in 1951 and by 1954 his dyke engineering had allowed the first dairy farms to be leased. Queen Juliana of the Netherlands visited the area in 1961 to view the success Pitt Polder had become. They are synonymous with Pitt Meadows and are what make this community livable by keeping the water out. Edith McDermott (nee: Lyness) arrived in Pitt Meadows around the time of incorporation in order to teach at the Number One School. In 1920 she married William McDermott, the clerk of the municipality, and was soon established as a community leader. In 1921, along with Mary Jane Harris, she established a chapter of the Women’s Institute in the community to bring access to recreation, entertainment and educational opportunities. She was the first principal of Pitt Meadows Elementary school and completed much of the community’s history book before her death in late 1966. Prior to the opening of the first auto crossing over the Pitt River in 1915 there was a small ferry that took travellers across the River. Ferry Slip Road is now the only evidence at the site that this mode of transport existed. After the end of WW I the federal government gave small communities across the country one or two German field guns (the spoils of war) to be used for protective purposes. In Pitt Meadows these firearms were stored away from public view, but on Halloween night in 1929 a group of pranksters retrieved them from storage and placed them on the roof of the first municipal hall building. The Hall burned to the ground in December, 1930 and we do not know what became of the guns. Pitt Meadows’ first fire department formed under the A.R.P. shortly after the bombing of Pearl Harbor. Hans Hoffmann was the first chief and the department ran out of his family’s building on Harris Road. Hans also built the first fire truck. 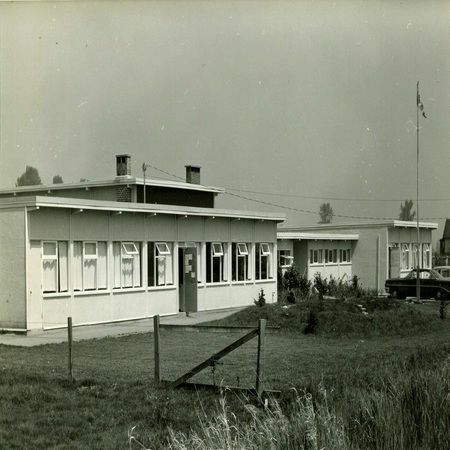 After the war the department’s name changed to the “Pitt Meadows Volunteer Fire Department” and in the early 1950’s a new purpose built fire hall was constructed on Harris Road near McMyn. This hall was replaced with the present one in 1983. Named after Sherman Herbert Ford who owned a significant amount of land in the area for both speculative and farming purposes. He was Reeve of the community in 1932 and 1933 and again from 1934 through 1947. Named for Simon Fraser, this river flows past Pitt Meadows on its southern boundary. Prior to 1885 most goods, mail and people came and went from Pitt Meadows by river boat that docked at Katzie on the Fraser at the southern end of what is now Bonson Road. Surrounded by lakes, rivers and mountains the lowlands of Pitt Meadows were prone to flooding, particularly in spring due to “freshets” fed by melting snow packs. Now home of the Pitt Meadows Museum, the General Store opened on Harris Road in 1908 and was also the location of the first post office. Parts of the structure date to 1886 when it was still located on Herring Road. The building was moved by horses to its Harris Road site in 1908. It became Pitt Meadows’ first designated heritage structure in 1987 and home of the Museum in 1998. Located on Dewdney Trunk Road between Harris and what is now Rippington Roads, at its height Greybrook farm was considered to be the most productive dairy farm in the Valley. Owned by an interest out of Vancouver, the operation had on site management by local farmers. Built before incorporation in 1914 the farm had fallen into disrepair and much of it was sold to build the Pitt Meadows golf course in 1963. The farm house survives and is owned and lived in by a local family. W. J. Harris, along with his wife Mary Jane and son Frank, arrived in the Pitt Meadows area in 1873. When Maple Ridge, of which Pitt Meadows was a part, incorporated in January,1874 Harris served as its first Reeve. He would go on to a role as dyking commissioner and then as an MLA and would play a pivotal role in petitioning for the incorporation of Pitt Meadows. Mary Jane and Frank also played pivotal roles in the community. 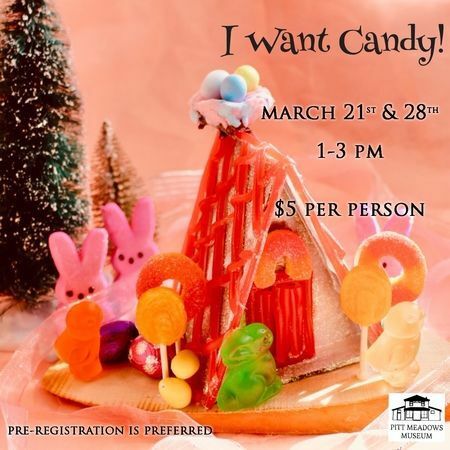 Established in 1996, Heritage Thursdays is a summer children’s program run out of the Pitt Meadows Museum and is supported financially by the Government of Canada through their HRSDC Summer Employment for Students program. Running for two hours every Thursday afternoon through July and August, the program introduces children to various aspects of history through games, crafts and other activities. The Hoffmann family arrived in Pitt Meadows in 1934 having traded their orchard in Aldergrove for Jack Fairfield’s garage here. In 1936, they replaced the original building on the site and grew their company to include a machine shop and ditching business. The Hoffmann building is now part of the Museum and is a designated heritage structure. More information on the Hoffmann family can be found at: One Man’s Passion: Hans Hoffmann’s Engines. Consisting of just over two hectares of land, Hoffmann Park is an urban oasis located to the west of Harris Road between Advent and Ford Roads. Made up of parcels of land both sold and donated to the municipality by the Hoffmann family over a 20 year period in the 1970′ thru 1990’s, the park now has walking trails and an off leash park. Buildings located on the site include the Hoffmann house, the Hoffmann and son shop, the Struthers house and the McMyn farm house (now a restaurant). Jan Blom, the father of Pitt Polder, arrived in the area in the spring of 1949 when flood water yet again covered dyking district one. Undeterred, he secured an option to purchase the land from Pitt Farms and by 1951 he had Dutch workers arriving to begin the ditching and dyking of the land. The resulting viable agricultural and recreational land is his legacy to the community. The date Pitt Meadows was officially designated a “City”. The date of the official opening of the Pitt Meadows Seniors’ Centre. More than a decade in the making. Until 1942 Pitt Meadows had a vibrant Japanese Canadian population, mostly berry farmers, living throughout the community. In the late 1930’s they finished the construction of their own community hall on Advent Road. At the outbreak of WW II, these families contributed to the war effort by signing up with the A.R.P. and listing what they could bring to the service. This changed after the bombing of Pearl Harbor in December, 1941 and soon they were on another list. By the end of 1942 all Japanese Canadians were gone from Pitt Meadows and their hall would be sold. The building stands today and is now used as a church. The date the Old General Store site received heritage designation from the District of Pitt Meadows. The owners at the time, Harvey and Betty McEwan, worked hard to get the structure endowed and it was the first in the community to receive the honour. It would take another 14 years for a second building to be endowed — the Community Church in 2002. The first settlers of land in Pitt Meadows more than 800 years ago. Their name derives from the Halkomelem, a Coast Salish dialect, word q’e yc’ey, a type of moss that once grew by the Fraser and also the name of an ancient village site in the area. After the establishment of the Pitt Meadows Athletic Association in 1938 they fielded a lacrosse team and constructed a lacrosse box at Harris Road Park. The team were the 1941 British Columbia Junior Champions. The box has been gone for many years. Fraser Valley Regional Library has provided Library materials to Pitt Meadows over the past 70 plus years. Starting with the bookmobile, which had regular stops in Pitt Meadows and Pitt Polder. Opening their first Library in a reconditioned house in 1971, which was shared by a local barber, Peter Gjaltema. In 1978 the library utilized the entire 1000 square foot building. In 1988 the library moved into a new facility which now houses some of the city staff. The library now resides at 200 12099 Harris Road where it continues to serve the community. The River we know today as the Alouette was once known as the Lillooet, appearing as such on maps in the Museum collection up through 1914. Sometime during the first world war years it was renamed. “Pitt Meadows Lions — Serving Our Community Since 1951″ The Lions Den on Harris Road was built in 1956 using lumber salvaged from the Number One School House. It was remodeled in 1978 and again in 2000. The Lions are a service club and are also credited with resurrecting the defunct Pitt Meadows Days in the early 1950’s. Today Charlie Lasser, a former Mayor of Chetwyn, is the only living charter member of the Club. Built through Pitt Meadows in 1931c, the Lougheed Highway started out as a two lane graded dirt road. In an oral history done in 1978, Hazel Anderson remembered what it was like to live beside the new highway that had cut her family’s farm in half. She recalled it was little used when first opened with only a few cars passing by each day. A far cry from the tens of thousands that use it each day now. Brothers William and John McMyn arrived in Pitt Meadows in 1905 and settled on land in the highland area of the community with John farming property in what is now the Somerset area. William McMyn would serve on Pitt Meadows’ first council in 1914 and both McMyn Road and McMyn Avenue are named for the brothers. The John McMyn farm house (1910c) is an early B.C. Mills prefabricated structure and is a designated heritage building. Informally known as the McMyn/Masson house (the Masson family being its third owners),the building was moved to 122nd Ave. late in 1995 and is now a restaurant. Pitt Meadows Secondary School’s team name. P.M.S.S. opened in 1961 as a junior high adding a grade each year to make the school a full high school by the time the first grade eight students reached grade 12. The date of the first municipal council meeting that was held in the basement of the Number One schoolhouse as no municipal hall existed. John Blaney was Reeve. Late May and early June of 1948 was marked by disastrous flooding on the Lower Fraser River and also on the Pitt and Alouette Rivers. Lowland farmers moved livestock to higher ground and flood fighting efforts were coordinated out of the municipal hall on Harris Road. On May 24th, more than 7,000 acres of land on the Alouette were flooded, but on June 3rd, when the dyke on the north side of Barnston Island gave way, farm land on the Pitt Meadows side of the Fraser was saved. Meadowland Elementary was Pitt Meadows’ second multi room elementary school. Located about on Dewdney Trunk Road about half a kilometer west of Harris Road, it opened for classes in September, 1961. The school was the victim of school closure in the early part of the 21st century, but the building remains and is a daycare facility at this time. Until the arrival of the Dutch in the 1950’s, Pitt Meadows’ Dyking District One (today we call this area Pitt Polder) was impossible to keep dry. Since the early 1900’s many had tried, but none had succeeded. One such attempt was made by Mennonite settlers in the 1920’s using the dykes and facilities put in by William Rannie in the 1910’s. The Mennonite settlers did not have the funds or skills to maintain what was left of the dykes and by the 1930’s had moved on from the area. William and Mary Menzies settled on land on what we now call Sheridan Hill in 1900c, living in a log cabin until they built their family home in 1910. The placement of the house on the hill kept them dry during the spring freshet that flooded area lowlands most springs. Wilma Robinson, their grand daughter, was the last family member to live on the hill (but not in the house). She passed away in January 2013. William, the oldest of the six children of Robert and Charlotte Mitchell, carried on the family dairy farm that began on what is now Mitchell Road in 1922. A community booster, Bill was a founding member of the Museum Society and a dedicated member of the Community Church Society. At his memorial service in 2008 he was remembered for his calm and gentle demeanor as well as for his “immense integrity”. A long time Museum member once said of him “he was one of my favorite people”. The site of the newest municipal hall in Pitt Meadows dates to 1980c. Prior to that time municipal business was conducted out of the Hall located at Harris Road and McMyn. The first hall on the site was completed in September 1914 and burned to the ground in December, 1930. The second hall on the site was completed in 1931 and stands today as the Old Heritage Hall. The first pre emptor who actually settled on the land he claimed in Pitt Meadows. Newton was the recently retired Factor at Fort Langley and retired on land on the eastern edge of Pitt Meadows, near Hammond, and just north of the Fraser River. Community volunteers of the 1970’s and 1980’s. “Kai was instrumental in developing the Meadowland Housing Cooperative”. From a sign that was located at the corner of Harris and Hammond Roads, 1969c. When the population of Pitt Meadows was 2,000. Pitt Meadows’ first school house opened in September 1909 for junior grades. Older students continued to walk to Maple Ridge for their education. The school was one room with no electric lights, no central heat and no indoor plumbing. Maud Patton was the first teacher and Maple Ridge administered the school. In 1912, two years before incorporation, Pitt Meadows formed its own school board and took control of the school. Old Age Pensioners Association, the Pitt Meadows branch formed in 1963 with Ben Crow as President and with 60 members to start and 80 by the end of the year. William Orcutt’s garage stood on Harris Road just to the north of where 122nd Ave. is now located. “William Orcutt rolled his barrels of gasoline and oil along the then unpaved road to his garage after they were delivered from the C.P.R. train. [He] was Poundkeeper in 1923 and he also collected Road and Poll Tax and was the driver of the first school bus.” He also owned the first radio in Pitt Meadows and allowed children to visit and listen to it. A pioneering resident of Pitt Meadows, William Park arrived here in 1905 and eventually established his dairy farm. He was the first municipal clerk at incorporation in 1914 and was Reeve for four years in the early 1920’s and again from 1934 thru 1947. Referred to as the first industry in Pitt Meadows, Pioneer Peat was establish off the Ford Road Detour in 1919. The company closed down the operation in the early 1930’s, but reopened in 1934 as Alouette Peat and continued in business through WW II supplying peat for use in ammunitions. As the peat ran out blueberry bushes were gradually planted in and as the peat plant closed a blueberry business was born. Named after Pitt’s River. The River was named by Captain James McMillan for William Pitt the Earl of Chatham. Pitt Meadows first appears on a map of the area in 1858. The Pitt Meadows Athletic Association was formed in 1938 with the objects of forming a park and playground at Harris Road near the Hall. They accomplished this and much more including the construction of an outdoor pool that opened in 1948. In 1962 the Association voted to turn responsibility for the park, the pool and other facilities over to the municipality. Today the site is known as Harris Road Park. Incorporated in 1983 as a charitable society to serve Pitt Meadows by helping individuals and groups make an ongoing difference in their community. Citizen of the Year awards and a Pitt Meadows Christmas are two the Foundation’s programs. In 1937 Pitt Meadows Celebrated their “first and only” May Day. This was replaced in 1938 with a “Sports Day and Strawberry Carnival” that a few years later became the Miss Pitt Meadows Day. Not held in the year of the flood, 1948, the event became inactive for a few years until the newly formed Pitt Meadows Lions Club reactivated it in the early 1950’s as Pitt Meadows Day. Pitt Meadows Elementary was the first multi room school building to be built in Pitt Meadows. It opened in September, 1953 with Edith McDermott as its first principal. The Pitt Meadows Farmer’ Institute was incorporated on March 20, 1928 with the goals of improving the conditions of rural life, promoting agricultural education, assisting local farmers with the purchase and distribution of supplies, and with welcoming new settlers to the community. The precursor to the Harris Road Co Op began under the institute. 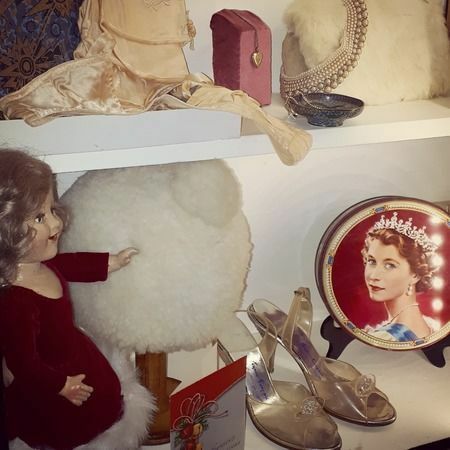 Formed in 1978 and incorporated in 1980, the Museum Society oversees the Pitt Meadows Museum and Archives and strives to protect local heritage structures and to educate residents and visitors to the community about its rich history. This community Museum is governed by a non profit registered charity and has seen four separate locations in its 35 years of existence. The most recent site(s) just to the south of the CPR tracks are in two heritage buildings, the Old General Store and the Hoffmann & Son machine shop and garage. A small, community facility, the Museum employs two part time year round staff and two full time summer students. The rest of the work is done by a small group of dedicated volunteers with new volunteers always welcome. Incorporated on February 7, 1921, the Pitt Meadows Women’s Institute was established by the Pitt Meadows elite of the time including Mary Jane Harris, Edith McDermott, and Mrs. Blaney. The group strived to bring culture, entertainment, health and educational opportunities to the community and worked hard to establish a library. Pitt Polder, otherwise known as dyking district one, derives its name from the Dutch meaning low land enclosed by dykes. Until the arrival of the Dutch in the early 1950’s this area was never successfully reclaimed from the water. Pitt Polder was incorporated into Pitt Meadows in 1995. The Pitt Polder Preservation Society was formed in 1996 as a group of concerned citizens of diverse backgrounds committed to the preservation and protection of the Pitt Polder. There has been a bridge in place over the Pitt River since 1915. The first crossing was simply the old C.P.R. bridge floated up river and placed on concrete pilings to make a one lane crossing. The 1957 crossing used the 1915 concrete foundations, but placed a two lane bridge on top. In 1978, a second two lane bridge was built to the north of the 1957 structure for a total of four lanes. Both the 1957 and 1978 bridges were torn down after the newest crossing opened in November, 2009. 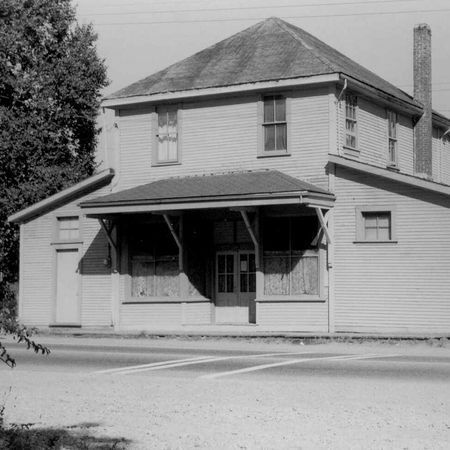 Pitt Meadows’ first post office opened in the General Store building in February, 1908 with H. Plommer as the first post master. In 1944, the office moved to a purpose built location on McMyn Road (about where the theatre is now) with R. Thorburn as the post master. The site moved again in the early 1950’s to a federal building on Harris Road and then again around 2000 to a postal outlet in a local pharmacy. A group for those boys who had gone through the Queen Scouts (top scouts) and then went on to Rovers when 18 and older. Their club house, located on Advent Road, was in an old building from Hales Lumber that was moved to the site and put on blocks. The Rover Scout motto is “Service” and in Pitt Meadows they assisted with search and rescue in the area. Planted on the lawn of the original municipal hall site on May 24, 1937 by Reeve W. Park with the assistance of Mrs. George Meeker. These oaks were planted around the British Empire to commemorate the coronation of King George the VI. The oak stands there to this day giving shade to those who wait at the nearby bus stop. Robert Sharpe, his wife Catherine and the first five of their eight children arrived in Pitt Meadows by train in 1895. Unlike most settlers of the time who had pre-empted their land, the Sharpes purchased their property outright making them the first “purchasers” of land in the area. Sharpe Road (north of Dewdney Trunk) is named for the family. The legend of Slumach and the lost gold of Pitt Lake continues to intrigue many. Tried and executed in 1891 for crimes he may or may not have been responsible for, Slumach is better known for taking to his grave the secret of the location of the lost gold of Pitt Lake also known as Slumach’s gold. The motto of Highland Park Elementary School. The school was built in 1983 and the eagle is the school mascot. In 1921 William and Jeannie Struthers moved to Pitt Meadows with their three sons, William, Jack and Robert, and took over running the general store and post office. Robert would eventually become an alderman in the community and his descendents have supplied the Museum with information, images and objects that relate to the site. click here to learn more about William Jr. and Maggie Struthers' house. Harold Sutton was a farmer, a business man and Pitt Meadows’ longest serving Reeve/Mayor (1948-1965),a position he took on after serving 14 years as a councillor. Under his leadership many projects were completed such as construction of major roads, the airport opened, a fire hall built, and the first two lane Pitt River bridge opened. Katzie legend tells us Swaneset was sent by the Creator to prepare the land and make it abundant for his people. It is also the name of a golf course in the Pitt Polder area. This Pitt Meadows motto was coined in 2001c. And begins to appear with the heron logo that year. An Irish immigrant to Canada, Roland F. C. Thomson arrived in Pitt Meadows shortly before incorporation. A member of the first municipal council, Thomson left shortly after serving his term to join the Canadian Over-Seas Expeditionary Force. He was killed on the 26th of September, 1916 and is remembered on the Vimy Memorial as well as on the cenotaph in this community. Prior to WWI Alvo von Alvensleben was a promoter and developer well known in the Vancouver area. About 1910, he built a house on vast tracts of land he owned in the vicinity of Harris at McNeil Roads in Pitt Meadows. Von Alvensleben’s fortune was wiped out in the economic crash of 1913 and he returned to his native Germany to drum up new financial backing in 1914. With the outbreak of War he was denied access back into Canada as it was felt he was a German spy. As the U.S.A. was still neutral he returned to the continent by entering there and ended up a resident of Washington State where he lived out his life. It is unlikely von Alvensleben was ever a spy, but anti German sentiments ran deep at the time. The von Alvensleben land was sold on a number of times and the house still stands today. Pitt Meadows did not get water mains until 1948. Up until that time residents of the community relied on well water. In the highland area most homes had good wells, but in the lowland areas closer to the rivers and sloughs many households had to rely on community wells for potable water. The most used of these was the well (dug in 1916) located on the front lawn of the municipal hall site where residents would fill a week’s worth of water often using milk cans from their farms. William Pitt the Elder, the Earl of Chatham, is said to be the person James McMillan named the Pitt River after, and Pitt Meadows also takes its name from him. Opened on July 20, 1963, it was predicted at the time that the Pitt Meadows Airport could become the “biggest light plane airport in Canada”. Today it is ranked as Canada’s 15th busiest airport. 2013 marked the Airport’s 50th anniversary.